Twenty to thirty years after construction, buildings require large-scale maintenance and facility renewal. 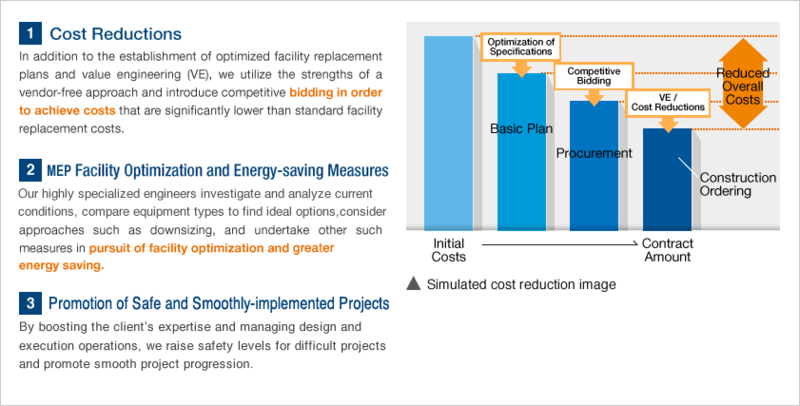 We offer the Project Management approach to upgrade deteriorated facilities with high-level planning and competitive pricing. 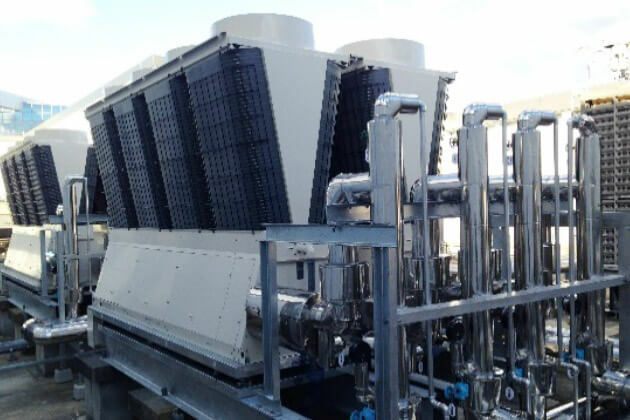 We deal with all facilities involving key amenities (cubicles, emergency generators, air conditioning and heat source facilities), auxiliary equipment (consoles, air conditioners, pumps and blowers), electric wiring, air conditioning and plumbing equipment. 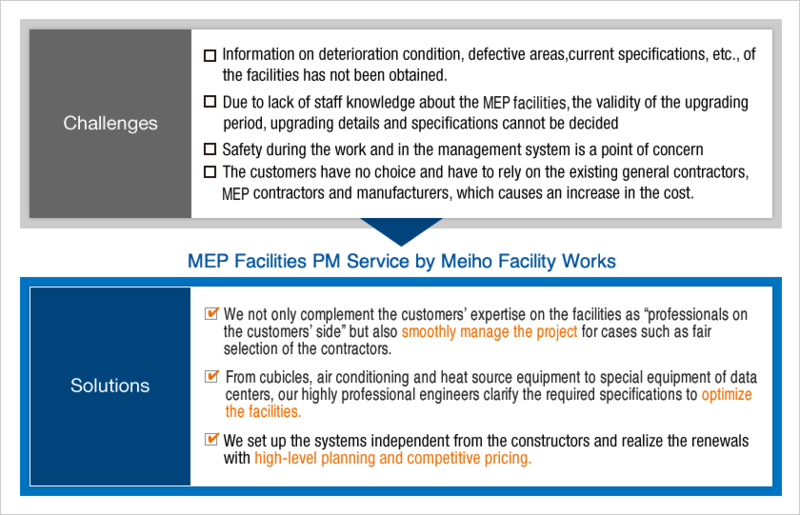 In our basic concept and plans for facility renewal, we review the operational status of the existing equipment and optimize the capacity and specifications of the equipment to be upgraded so as to save energy and reduce running costs. Also, we offer appropriate solutions to our clients' environmental initiatives and challenges involved in energy saving. 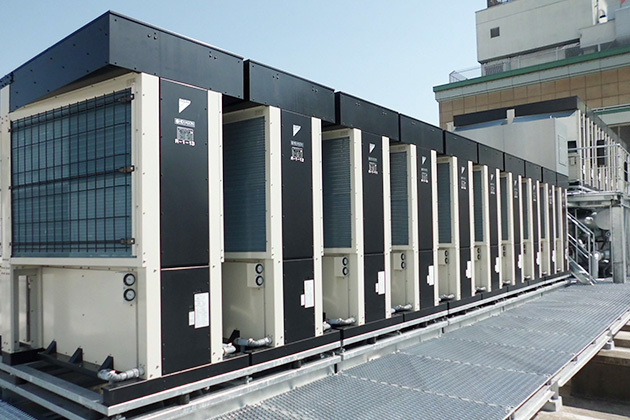 When handling facility maintenance/replacement and the introduction of energy-saving technologies, we complement the customers' expertise on the facilities as "professionals on the customers' side", and offer a Project Management approach to project delivery that consistently results in cost savings and optimized schedules. We offer one stop service from establishment of a basic concept and plan to procurement support and management during every step of the design and execution phases. Energy saving technology in the construction industry is dramatically progressing through the introduction of renewable energy. Today, there are various technologies such as "energy saving technology" actively leveraging natural energy and "energy generating technology" generating and leveraging energy. Therefore, a wide range of knowledge is required to introduce the most suitable system that will meet customers' needs. Our engineer team, with extensive knowledge and expertise on architecture, electricity, machining, civil engineering, etc., review and compare from various viewpoints including cost, quality, schedule and introduction effect, and provide appropriate solutions so that the customers can introduce optimal systems. 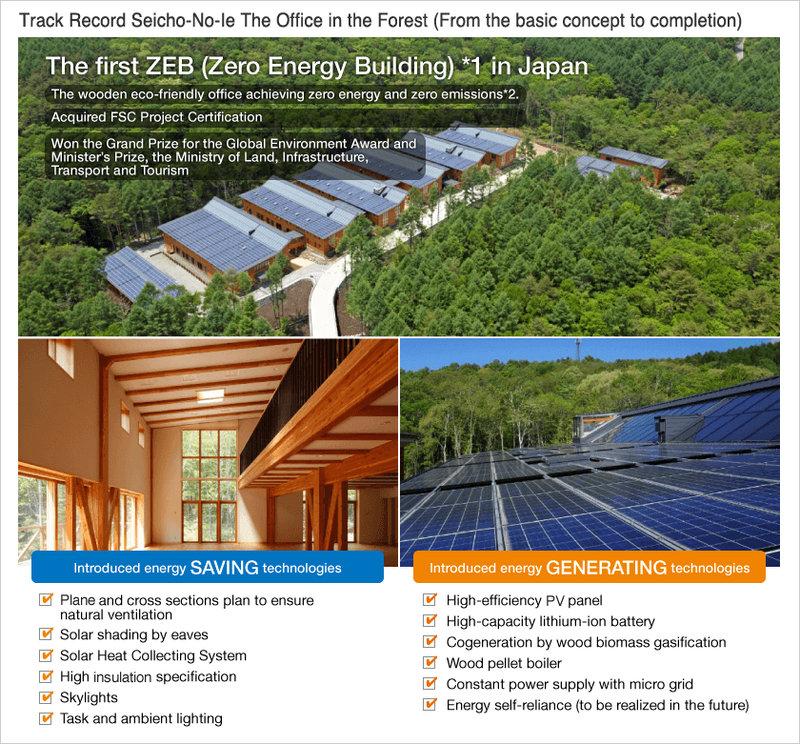 *1 Zero Energy Building (ZEB) = A building with zero net energy consumption, meaning the total amount of energy used by the building on an annual basis is roughly equal to the amount of renewable energy created on the site. *2 FSC (Forest Stewardship Council) Project Certification = A certification given to the projects (buildings, etc.) leveraging FSC-certified material (wooden material from a forest certified by FSC as a properly managed forest).